Students of the Bible and particularly Bible Prophecy cannot afford to leave any stone unturned in their studies just because it might ruffle their patriotic feathers or demolish some preconceived notion. The subject is too important. The Final Babylon, written by authors Douglas W. Krieger, Dene McGriff, and S. Douglas Woodward, is one such book requiring this sort of open-mindedness. Even if you totally disagree with the arguments presented in the book, you will still come away challenged and edified. You can’t lose. Hence, at the outset, I challenge you to take it up. The scholarship is evident throughout. This book is a most impressive effort and a very good read. So what are we dealing with in The Final Babylon? Probably the biggest issue is simply this: Is America mentioned in Bible prophecy? I am unsure as to what the official score might be on this, but it has to be one of the leading questions amongst Christians today and perhaps a growing number of non-Christians as well. I’ve got some bad news for you potentially: Yes, contrary to popular evangelical opinion, America may well be in Bible prophecy – even in a very prominent role. Unfortunately, it may be wearing the black hat. This could be an example where the answer has been right in front of our noses the whole time. Due to our patriotism, we had a blind eye. That, in a nutshell, is the thesis of the new book The Final Babylon. This book has already rattled a few cages and continues to challenge a number of well-established viewpoints on Bible prophecy. However, the ideas are presented in a fair, thorough, scholarly, and gracious manner. Prepare to be have your current view stretched. Prepare to have your life agenda challenged. Prepare to have YOUR cage rattled by experts who know what they are talking about. The reason I refer to that travel log here is because my anecdotes regarding the Krieger, McGriff, and Woodward provide a bit more insight into their personalities as well as the premises of their presentations. Furthermore, given the book was released at the Colorado Springs conference those of us attending (about a thousand in all) were the first wave of people to get our hands on the book along with the nifty bonus of having them signed by the authors. We also had the opportunity to talk directly with them and ask a bunch of tough questions in our own right, all of which were generously and graciously answered usually with a surprising sense of humor. . They spent considerable time at their book table, on the floor on conference sessions, and also during official Q&A sessions recorded for DVD (now available at Prophecy in the News’ website here – seewww.prophecyinthenews.com). Generally speaking, anyone attending the Pike’s Peak conference would be both eager and able to access the insights of this book. 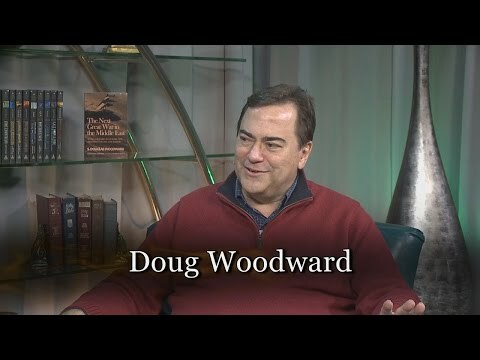 I am familiar with Doug Woodward’s work through his website, his five other books, and his frequent appearances on the weekly Prophecy in the News telecast. I have come to appreciate his writing style, his approach, and especially his fair and even-keeled manner on any subject he tackles. Doug is a very meticulous and thorough researcher. In my opinion, he’s one of the best in the field. I am always eager to see what he might be working on next. Having read both of Woodward’s Power Quest books previously, I suspected they were leading up to a crescendo of sorts, so I wasn’t really surprised when I learned of this most recent project and its primary thesis. Considering the content, this book might have been called Power Quest 3, although the scope of The Final Babylontranscends what that hypothetical title implies. I was not familiar with Woodward’s co-authors before reading The Final Babylon, so I made a point before the conference of visiting their website http://www.the-tribulation-network.com/ to read up a bit and get a sense of where they were coming from. After reading a number of papers at TribNet (as they nickname it), it was plain to see how these authors brought complementary theological concepts into play. Additionally, all three authors bring different professional specialties and real-life experiences to the table in addition to their own Biblical scholarship and three lifetimes of study. As I stated above (in the linked “EI” piece about the conference), their table was a fun spot to visit, becoming a frequent stop for many attendees. The three men are clearly good friends and were smiling and enjoying the discussions despite the seriousness of the subject matter. This conviviality was present in their lectures and informal discussions at the conference as well as within the covers of their book. The overall thesis of their current work is one with which very few American evangelicals will find comfort. The authors candidly admit they mean to ruffle a few feathers. However, perhaps no three people would be more pleased than they to be proven wrong, since their assertions are often disturbing. This humble attitude should be kept in mind when you are reading the book, because their arguments (and their documentation) will uncover numerous points that will challenge your pride in American achievement – at least in the political and corporate world within the USA for the past 60 years or so. I will offer this assessment here: having prayerfully considered the book as a whole, when considered from several angles I honestly don’t know how their thesis can be proven wrong on their primary points.. 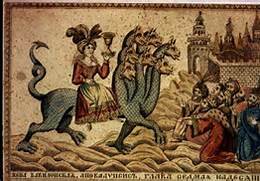 There is no question that the Antichrist will have had much of his entrance into world prominence paved by the efforts of the United States. It seems plain enough the process of laying the groundwork for his future kingdom is underway in full force right now. And yet, I admit some misgivings as I dived into this book which I must explain. On one hand, I was enthusiastic for I knew I would see solid scholarship and enjoy a great read. I anticipated I would be stretched by the challenge of America’s possible place in Bible prophecy. Consequently, I expected it to be a solid book and enjoyable as a good book on Bible prophecy often is – it reaffirms my faith. On the other hand, I have to admit that I also went into this wary of the “America is Babylon” argument simply because it has been done before – and much of that prior work was both sensationalist and sloppy. However, since there have also been responsible Biblical scholars who were at least sympathetic to the notion if not outright in favor of it, I began with a “let’s keep an open mind” attitude. By the way, those venerable scholars include no less than Dr. Noah Hutchings of Southwest Radio Church as well as the late J.R Church of Prophecy in the News. I can understand those who might disagree with the “America is Babylon” thesis. I’m not sure I fully agree with it myself. I have personally believed for many years that America will be part of an even bigger empire under the banner of the New World Order. Most everyone in the prophetic community seems to agree with that assessment. Currently the USA spearheads the move toward “globalism” (so-called) for at least the last one hundred years. Consider Woodrow Wilson’s League of Nations; John D. Rockefeller’s United Nations; and last but not least, The Federal Reserve’s inception at Jekyll Island, by a number of notable (if not notorious!) wealthy American elite – members of the “international bankers” which cross national boundaries to make a buck. These developments are all thanks to America’s political and financial plutocrats. We can clearly see the evidences of this coming New World Order all around us. And, as I said, acknowledging that the USA supplies this globalist leadership doesn’t spur much debate: America certainly occupies the driver’s seat. Despite whether or not the book provides the right emphasis on the role of America vis-à-vis the New World Order, The Final Babylon may very well be one of the most important Bible prophecy books I have ever read in my thirty years of being a Christian. I have read many. I don’t make this judgment lightly. It is that challenging, provocative, and well documented. Timing is everything. Given the changes we’ve seen in America just since 9-11 and the clear acceleration of the prophetic time clock, especially considering the well-publicized tensions in Israel and the Middle East, a fresh and profound assessment of the USA’s place in the grand scheme of things is most needed. This is a critical juncture for America and for the planet. Many authorities and academics in the secular world know it, too. Given the lateness of the hour, you could certainly do far worse than readThe Final Babylon as soon as you can get your hands on a copy. The most sobering section in the book has to be the chapter that covers the rise to power of Hitler and how the church in Germany was completely duped by him. Christians were hoodwinked despite whether they were Protestant or Catholic. But the reason this chapter is so sobering and chilling lies in the fact that similar conditions exist in America right now and have for some time. Religious leaders want to impress secular leadership. Political leaders want to engender support among America’s faith communities. An alliance that promises “peace and quiet” instead of conflict such as we’ve seen between “Tea Partyers” and “Progressives” – may become the order of the day. Compromises in religious liberty are likely so that everyone can co-exist and “just get along.” That worries me. Another compelling point: If you believe that the Lord will return within the next 30 years or so (as I and the authors do), then the current geo-political conditions in the world would most likely continue as is – meaning the USA will remain in the leadership role it holds today. For another nation or collection of nations to wrest control from America, a number of unlikely and large-scale changes would be necessary. In short, the world as we know it would have to be drastically altered. If you think about it, the time required for the United States to be replaced as the current leader of the New World Order (by the European Union or any other country) would take many decades, if not a century or more. Just considering how many biblical prophecies have already been or are currently being fulfilled makes that scenario pretty implausible. There are numerous references made throughout the book to research done by Chris Pinto, Tom Horn, and Cris Putnam that help to support the core arguments of the book. Taken in total, the mountain of evidence paints an unmistakable picture of America as the “launching pad” for the Antichrist. Likewise, the book draws upon work done over the years by Gary Stearman and J.R. Church from Prophecy in the News. While reading The Final Babylon, J. R. Church’sGuardians of the Grail and Bloodline of the Antichrist books came to my mind on more than one occasion. Gary Stearman’s writings on Mystery Babylon also are supportive of the book’s thesis. To some degree, these all had their part in laying the groundwork for The Final Babylon. In the same vein,there is research mentioned in the books Petrus Romanus and Exo Vaticana (books co-authored by Tom Horn and Cris Putnam) which is referenced by Krieger, et al, which, while coming from a different place, still lends support to the thesis too. I also strongly recommend Chris Pinto’s documentaries about America. They too are mentioned prominently. While The Final Babylon uses a good deal of logic and reference to the current world economic and political situation, it is not without biblical support. The authors unearthed many scriptures from both the Old and New Testaments to make their case. Many of those scriptures invite closer study. 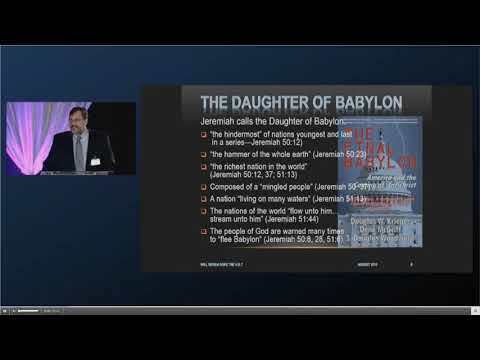 Jeremiah 50, 51, and Isaiah 47, for example, mention “The Daughter of Babylon” while Isaiah 13 mentions Babylon, but a Babylon at the end of history. Isaiah 23 talks of Tyre, but again, at the end of time. These passages name ancient empires which seem to come alive just before the Lord returns; therefore, they certainly do not describe a literal Babylon nor do they directly infer the City of Rome (and the “revived Roman Empire”) is the powerbase for Antichrist as the usual scenario does. Speaking personally, I have no problems signing off on the idea that America could very well be “Daughter of Babylon.” I’m not sure I’m ready to take it past that, although again I could very well see America as part of something bigger that ends up being “the Final Babylon.” I certainly can see the argument that the fulfillment of Bible prophecy regarding the empire of Antichrist must consider the references to the ancient land of Phoenicia, its most notable city Tyre, and its later colonies including the “merchants of Tarshish.” That is a recurring theme in Old Testament prophecy. This is a critical point. So, let me speak plainly: Every Christian should read this book! Why? Because if even a fraction of it is true then American Christians have a serious problem to which we had better wake up. If America is the power base of Antichrist then sitting on our hands is not an acceptable position! That’s why the book is ultimately so important. To reiterate: the quality of scholarship and painstaking research have resulted in a thought provoking argument that even disagreeable readers admit they have a hard time dismissing altogether. You cannot read this book and assume that life will be, henceforth, “business as usual.” Don’t let me scare you off. It is enjoyable as well as edifying to study such things because we all see “through a glass dimly” as 1 Corinthians 13:12 says. We yearn to know what the future holds. 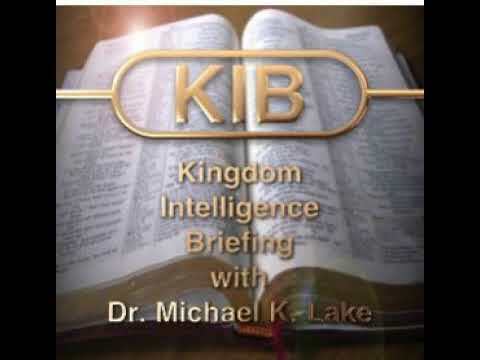 When studying Bible prophecy, it is important to maintain no more than a loose grip on your beliefs, because the Bible usually gives us only some of the broad “whats” without a lot of “hows.” By that I mean, we can’t necessary conclude “how we get from point A to point B.” In the times in which we now live, new details will emerge that may very well change the complexion of certain concepts. The book has to be viewed as an interpretation of how thingsmight happen in the future based on the premise that the Lord is coming within the next two or three decades. It is based on analyzing current events and the players that exist today. In the same manner, this book provides yet another piece of a very large and complex puzzle. Still, the insights are so beneficial, it requires more than just a casual glance to take it all in and digest. You will likely need to read the book more than once as I do. I wholeheartedly thank the three authors for following the Lord’s lead and the urgent prodding they no doubt felt to get this important and critical study out. Finally, this is a Christ-centered book throughout. In other words, the most important message underlying the whole story is, of course, preaching the Gospel of Jesus Christ. The authors end the book with a call to action and a prayer of salvation for the reader with a sense of urgency given everything they have presented. I share that sense of urgency. For further references and information on this book, I highly recommend watching the programs from Prophecy in the News where Gary Stearman interviews Doug Woodward regarding this book. 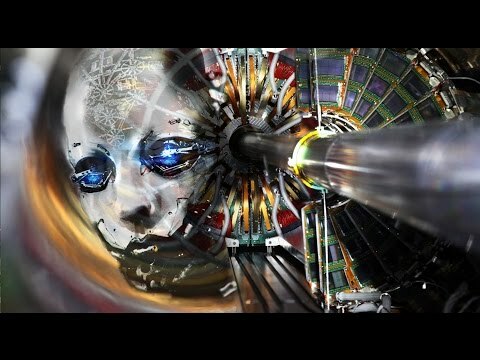 The first program can be seen now here: http://www.prophecyinthenews.com/the-final-babylon/ A second 30-minute session is being released this weekend (October 19-21) and when that show has been uploaded to the PitN website, I will update this review accordingly.